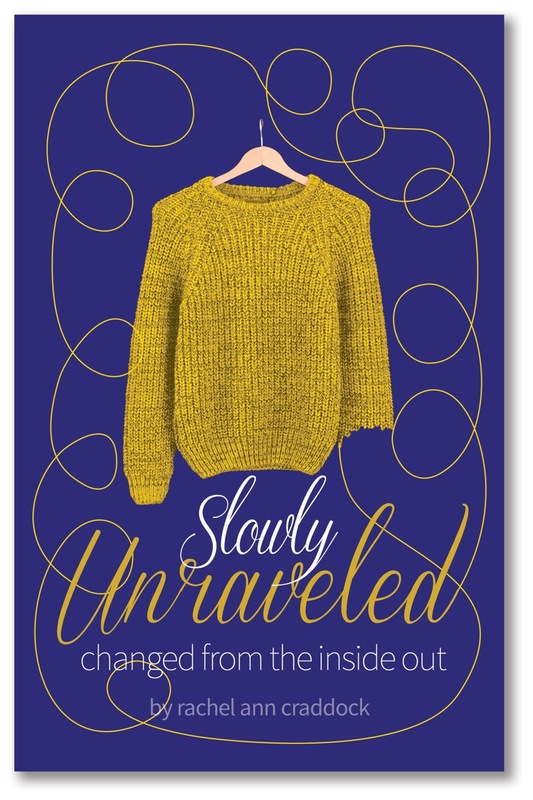 Slowly Unraveled: Changed from the Inside Out is available to pre-order at the PCA Bookstore and on amazon. This is what it looks like to actually apply the rich theology that we believe. Rachel lets us into the nitty gritty of God’s sanctifying process in her own heart, and we see more clearly how the scripture relates to our own unraveling. What a rare resource for us and those we are helping. Rachel’s book Slowly Unraveled is an honest and personal example of how guilt and shame can be redeemed by the Lord Jesus Christ. We have known Rachel and Michael since their college days and can testify to God’s grace in their lives through the journey that Rachel describes in this book. “Unraveled” will give you a clear example of what it means to struggle in life, but to struggle with all the strength that God supplies! Slowly Unraveled highlights the glorious interwoven intricacies of the liberating hope of the gospel. Rachel’s winsome and relatable style draw the reader to examine their own journey of being unraveled by the renewal of their minds in God’s Word. It is my hope God will use this book as a gospel friend to aid in the transformation of women’s lives! Slowly Unraveled by Rachel Craddock is a wonderful presentation of redemptive vulnerability. Through the lens of her detailed gospel journey the powerful transforming grace of Jesus shines brightly. While her struggles, challenges, and blessings are uniquely hers, she shares in a way that provides many points of contact for people whose stories are quite different from hers. This book will be a blessing to all who read it and especially for wives of pastors and seminary students. With vulnerability and transparency, Rachel invites her readers to see the beauty and power of a life transformed by the love of Jesus. She weaves rich theological truths with insights gleaned through her own suffering. Our God is a God who mends the broken, comforts the hurting, and redeems the lost—Rachel not only shows how the Lord has done these things for her, she shows how the Lord can do this for us all. If you’re new to the church, Unraveled provides sanity as you relate to this crazy house called the church. If you’ve been here a while, then this is a must read! What we make complicated, Rachel makes simple. In her straightforward manner, she identifies shame messages we can all relate to and shows us, through the telling of her story, how God weaves hope, healing and redemption in the unraveled spaces of life. I have to disagree with you about not finding deep theological wisdom here. 🙂 Just because you share your experience of grace in simple language and everyday feelings instead of fancy theological terms does not make it less profound – just more accessible! I have found that not only does God use everyone who belongs to Him, he takes a particular delight in using the so-called weak and unimportant. If only we are paying attention to them. God bless, and keep writing. My friend Penny pointed me to your blog this morning, and it is delightful! I’m writing on parenting by grace right now, and your article on parenting in the pews is an encouragement! Thank you for sharing your story! Love your blog and love you!! Thank you for being real!! !